The appointment to the newly created role was announced today by ABC managing director Michelle Guthrie. Guthrie announced the creation of the role in March, with the original title of chief technology officer. The role was part of a package of announcements comprising the ABC MD’s ‘Investing in Audiences’ strategy. Chief financial officer Louise Higgins is acting as CTO until Clifton joins the ABC in September. Clifton will oversee all digital infrastructure, architecture, information systems, media and broadcast technology. The ABC’s general manager technology, Ken Gallacher, will retain his role, which is focussed on the broadcaster’s internal technology requirements, and will report to Clifton. Clifton comes to the broadcaster from TVNZ, where she has been chief product and information officer since 2015. 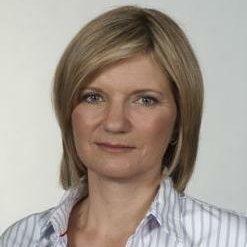 She joined TVNZ in 2007 as its head of production services and technology. Prior to that she worked as director of operations at Aljazeera English Channel in Qatar. “Like all media organisations, the ABC is undergoing a great period of transformation and is faced with a fast moving technological environment it must stay ahead of so it can remain an innovative and unique source of content,” Guthrie said in a statement.